Mobilizes fat and lymph stores for efficient distribution. 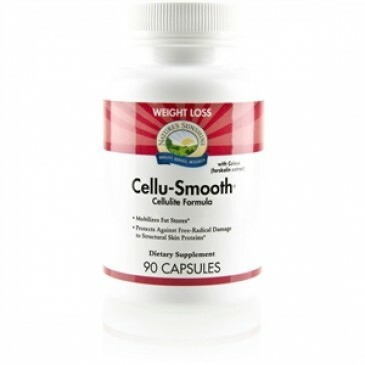 Protects against free radical damage to structural skin proteins. 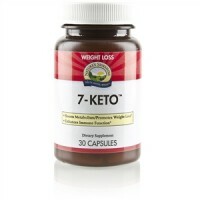 Promotes a shift from a more fatty body mass to a more lean body mass. Coleus is a unique herb that causes a shift from a more fatty body mass to a more lean body mass, which benefits overall health. The effect can be measured by decreases in the waist-hip ratio and the body mass index. Bladderwrack kelp nourishes the thyroid gland with iodine thereby supporting metabolism. It may also help decrease appetite by maintaining already normal blood sugar levels. Milk thistle fruit helps support the liver's detox function, allowing it to efficiently emulsify fat, break down trapped particles and help remove them from the body. Ginkgo leaf, a known free radical scavenger, promotes proper circulation even to remote or problem areas, leading to efficient blood-oxygen exchange. Rhodiola root is an adaptogen more powerful than ginseng. It can improve strength and stamina and help body cells generate and use energy more effectively. Forskohlii root extract, bladderwrack whole plant, milk thistle seed extract, ginkgo leaves extract and rhodiola root extract. 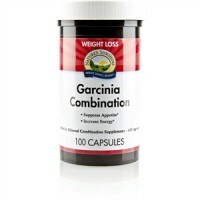 Take 1 capsule with a meal two or three times daily. Drink at least eight glasses of water a day. Not recommended for pregnant or nursing women, or for children.